After the success of our two AVID courses in 2018, we’re delighted to announce that we’ll be repeating the courses this year, 2019, once again in collaboration with Cape Town based editing company Shot Frame, kindly hosted by boutique post production facility, Post. Just wanted to say thank you to Post Production Cape Town (Barry) and Shot Frame (Dani) for the Avid Beginners and Edit Assistant course. 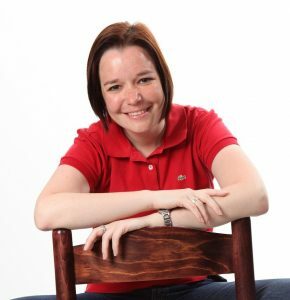 Well-known local editor, online editor, assistant editor and trainer Dani Nel will be presenting this one day workshop. Dani is an AVID certified trainer, having attended an AVID “train the trainer” course in London in 2012 and more recently qualified to teach AVID Media Composer 8 and above. 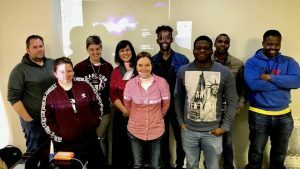 Dani is also a certified Apple FCP 7/X, Adobe Premiere and After Effects trainer and brings her understanding of the other non linear editing platforms to help ease the transition to AVID workflows. Who should attend? If you are working in the film industry as an editor or assistant editor, working on Premiere Pro or Final Cut Pro 7 or X, then this course is for you! Graduate students are also welcome to attend, however, you must have some practical editing experience. Date – 25 May 2019, 08h30 to 17h30. Who Should attend? If you wish to expand your skills and start working on feature films, high end international TV series and documentaries, then this practical, hands-on workshop is for you! You must be AVID literate to attend, if you only have Premiere or FCP experience, you will need to attend our “Intro to AVID” course first. Graduate students are also welcome to attend, however, you should have some practical AVID editing experience. Dates – Sat 01, 08 June & Sun 09 June 2019, 08h30 to 17h30. 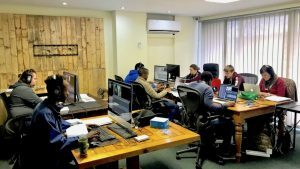 Post Production SA is offering an introductory lecture covering the basics of film and TV Post Production – terminology and workflows, which will be useful to anyone wanting to know more about Post and particularly good for those junior editors or recent graduates attending either the AVID workshops. “The Language of Post Production” touches on all aspects of post production, from on set DIT function and data backups, rushes, dailies, aspect ratios, codecs and transcodes, offline and online editing, grading, tracklaying, foleys, ADR and mixing, to international cinema and television deliverables. The lecture is aimed at anyone not familiar with the complex terminology and methodologies of international level post production. It is designed as an introduction to Post Production for all post novices and to provide an overview for production and camera crew. This 5 hour workshop is presented by Barry Strick, leading Cape Town based Post Production Supervisor. Barry’s career in the film industry spans over twenty five years – fifteen of those working at post production facilities in both Johannesburg and Cape Town. Barry has most recently post supervised The Forgiven starring Oscar winner Forest Whitaker as Desmond Tutu, and directed by Oscar nominee Roland Joffé; and the final series of three ninety minute episodes of BBC series Wallander, for Left Bank Pictures UK, starring Sir Kenneth Branagh. Barry has produced his first feature film Twee Grade van Moord (Two Degrees of Murder) and is co-owner of Post Production South Africa – Cape Town’s only post production crew agency and Inverse Films, a production and post production company.